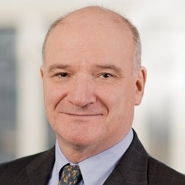 Principal Mike Murphy (New York) will speak at the Smart Grid Observer's 6th Microgrid Global Innovation Forum, taking place in Washington, DC, from March 14 to 15. The forum brings together thought leaders, utilities, energy providers, project managers and other stakeholders for two days of focused networking and information sharing concerning the latest technological developments, design, implementation and operation of hybrid renewable energy microgrids, with emphasis on maximizing the business case for microgrids, integration into the larger grid, and sharing real-world case studies of both grid-tied and off-grid/remote environments. Mike will speak in a presentation titled "Business Case Models for Microgrids that Support Sustainable and Resilient Communities," which will take place on March 15 from 8:30am to 9:30am (EDT). The presentation will address one of the biggest hurdles to the adoption of distributed energy resources such as microgrid solutions: the end-user return on investment and the ability to create tailored and customized solution architectures to meet the varying needs of diverse consumers and communities.